Solar panel installations have become increasingly popular, but the solar panel manufacturing industry is in the doldrums because supply far exceeds demand. The poor market may be slowing innovation, but advances continue; judging by the mood this week at the IEEE Photovoltaics Specialists Conference in Tampa, Fla., people in the industry remain optimistic about its long-term prospects. The technology that’s surprised almost everyone is conventional crystalline silicon. A few years ago, silicon solar panels cost $4 per watt, and Martin Green, professor at the University of New South Wales and one of the leading silicon solar panel researchers, declared that they’d never go below $1 a watt. “Now it’s down to something like $0.50 of watt, and there’s talk of hitting 36 cents per watt,” he says. All parts of the silicon solar panel industry have been looking for ways to cut costs and improve the power output of solar panels, and that’s led to steady cost reductions. Green points to something as mundane as the pastes used to screen print some of the features on solar panels. Green’s lab built a solar cell in the 1990s that set a record efficiency for silicon solar cells — a record that stands to this day. 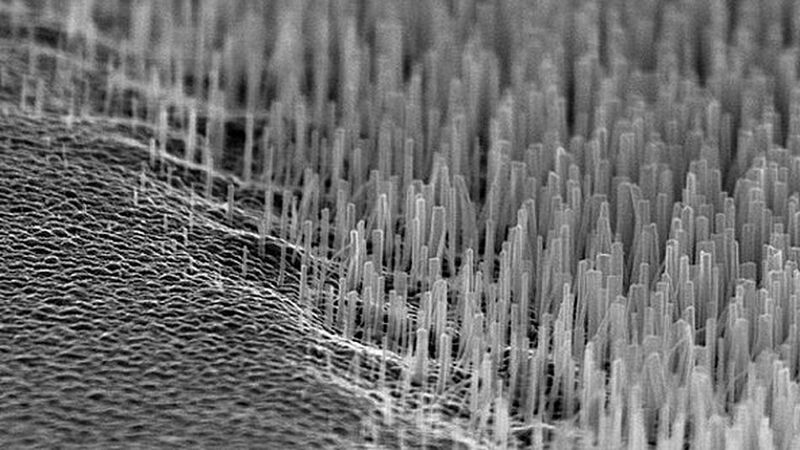 To achieve that level of efficiency, he had to use expensive lithography techniques to make fine wires for collecting current from the solar cell. But gradual improvements have made it possible to use screen printing to produce ever finer lines. Recent research suggests that screen printing techniques can produce lines as thin as 30 micrometers — about the width of the lines Green used for his record solar cells, but at costs far lower than his lithography techniques. Green says this and other techniques will make it cheap and practical to replicate the designs of his record solar cell on production lines. Some companies have developed manufacturing techniques for the front metal contacts. Implementing the design of the back electrical contacts is harder, but he expects companies to roll that out next. Meanwhile, researchers at the National Renewable Energy Laboratory have made flexible solar cells on a new type of glass from Corning called Willow Glass, which is thin and can be rolled up. The type of solar cell they made is the only current challenger to silicon in terms of large-scale production—thin-film cadmium telluride. Right now such solar cells are made in batches (as are silicon solar cells), but the ability to make them on a flexible sheet of glass raises the possibility of continuous roll-to-roll manufacturing (like printing newspapers), which can reduce the cost per watt by increasing production. 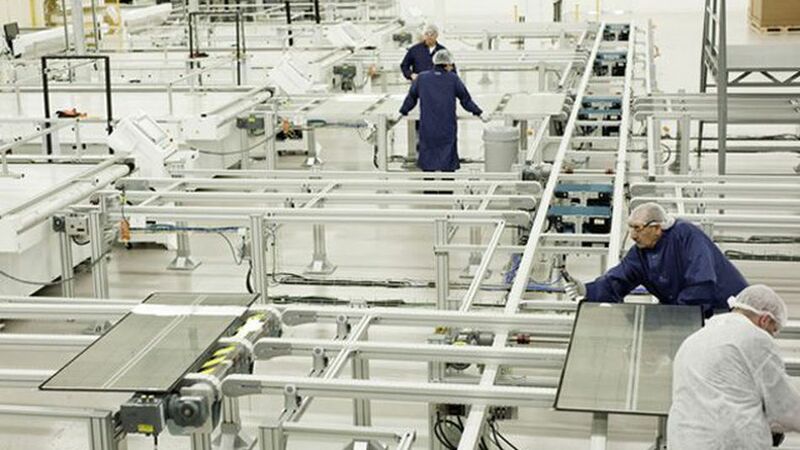 One of Green’s former students and colleagues, Jianhua Zhao — cofounder of solar panel manufacturer China Sunergy —announced this week that he is building a pilot manufacturing line for a two-sided solar cell that can absorb light from both the front and back. The basic idea, which isn’t new, is that during some parts of the day, sunlight falls on the land between rows of solar panels in a solar power plant. That light reflects onto the back of the panels and could be harvested to increase the power output. This works particularly well when the solar panels are built on sand, which is highly reflective. Where a one-sided solar panel might generate 340 watts, a two-sided one might generate up to 400 watts. He expects the panels to generate 10% to 20% more electricity over the course of a year. Such solar panels could be mounted vertically — like a fence — so that one side collects sunlight in the morning, the other in the afternoon. That would make it possible to install the solar panels on very little land; they could serve as noise barriers along highways, for example. Such an arrangement could also be valuable in dusty areas. Many parts of the Middle East might seem to be good places for solar panels, since they get a lot of sunlight, but frequent dust storms decrease the power output. Vertical panels wouldn’t accumulate as much dust, which could help make such systems economical. Looking even further ahead, Green is betting on silicon, aiming to take advantage of the huge reductions in cost already seen with the technology. He hopes to greatly increase the efficiency of silicon solar panels by combining silicon with one or two other semiconductors, each selected to efficiently convert a part of the solar spectrum that silicon doesn’t convert efficiently. Adding one semiconductor could boost efficiencies from the 20% to 25% range to around 40%. 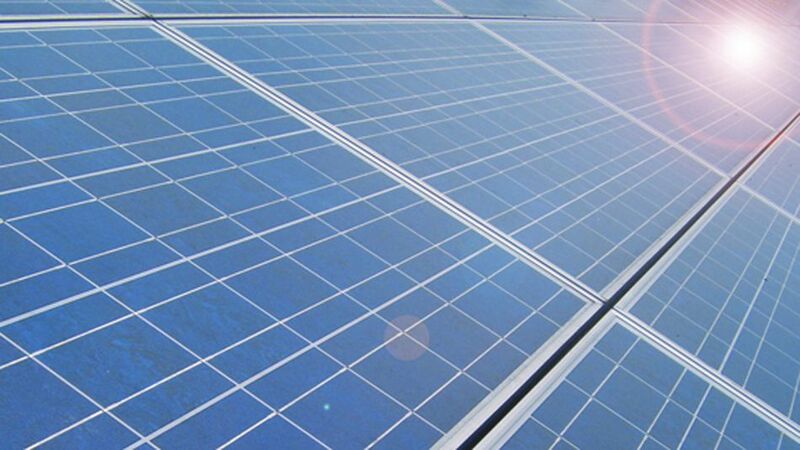 Adding another could make efficiencies as high as 50% feasible, which would cut in half the number of solar panels needed for a given installation. The challenge is to produce good connections between these semiconductors — a task that the arrangement of silicon atoms in crystalline silicon makes quite difficult.